Sometimes the old classic crafts of my elementary days are the ones that I love the best. I have fond memories of making tissue paper stained glass to celebrate a holiday when I was little. Since we live in the warm and sunny southeast, school being cancelled due to snow is almost unfathomable. Each year I host a "Snow Day" for my students. I will bring your more details soon, but this is one of the crafts we make while "snowed in". I'm hosting a snow day in a my son's two year old class this year too, and it should be interesting! Not quite the same as hunkering down with a room of 5th graders! 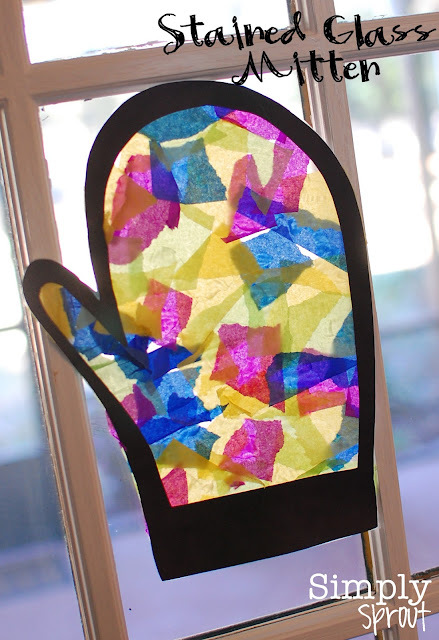 It was chilly out the other day (in the 50's...brrr), so we made a mitten of our own. All you need is wax paper, tissue paper, glue, and a seasonal cut out (I just traced an image from Google). 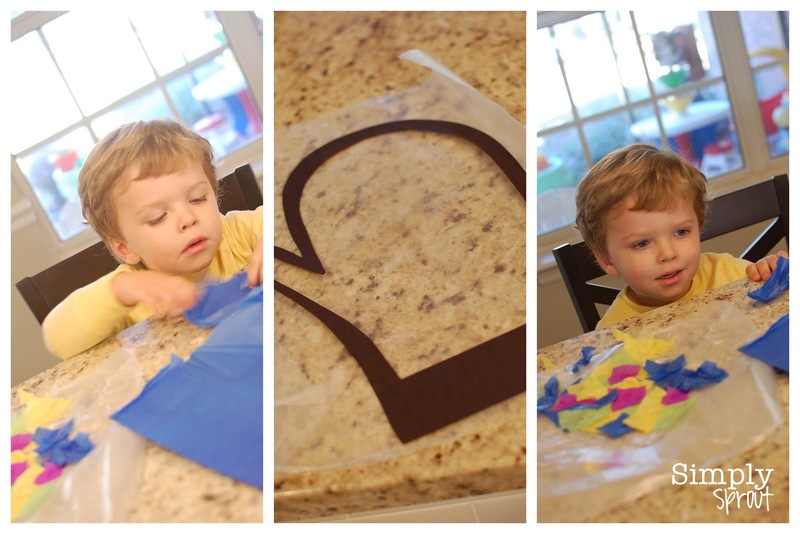 He loved ripping and gluing, and I attached it to the outline and trimmed. It was a simple, seasonal, and fun project. That brings me joy!